After many years, cloud archiving solutions began to appear. Like the on premise system vendors, Cloud vendors designed their cloud platforms for customers with specific regulatory requirements. However, they also designed them as proprietary systems that made it extremely difficult for clients to leave. Regulated companies immediately saw the benefit of relying on a third-party cloud provider to ensure they were meeting all of their regulatory requirements. Many cloud archiving vendors designed their proprietary clouds with several vendor lock-in schemes to ensure companies would be forced to stay put or pay a hefty price. The most popular scheme for cloud vendors was to convert the customer’s data to a proprietary format so that it would be impossible to use if removed from their cloud. The vendor would, in turn, charge huge “conversion” prices to reconvert it back to the original format. One unforeseen issue of this original data conversion is it eliminates the ability to run the newer, more advanced data analytics applications because of the non-standard formats used by the cloud vendor. Another trick proprietary cloud vendor’s use is throttling the customer’s data export speed so that moving to a competing cloud would take months or years. In this way, migration timeframe coupled with the export charges ends up making it financially impractical to leave the current proprietary cloud. In 2017, a Legaltech attendee came to our booth and asked if we had a way to connect directly to a proprietary cloud and migrate the customer’s data out, quickly. He related a horror story of their current cloud vendor asking for $50/GB as a cost to “convert” and export the customer’s data at a non-throttled speed…the customer had over 10 PB in the cloud! Because of these schemes, many customers characterize proprietary clouds as (data) prisons. With the rise of huge public cloud platforms such as Microsoft’s Azure, Google’s Cloud, and Amazon’s AWS, companies now can set up their cloud instances with complete control of their data - including archiving data in its native format. These cloud platforms are designed to allow third-party applications to sit on top of the cloud and enable specific functionality such as records management, information governance, eDiscovery, and data analytics. For example, the Azure Cloud includes an extensive suite of services that third vendors are now using to build next-generation functionality into their applications. A major benefit of third-party vendors creating native Azure applications is that Microsoft regularly adds new services to their technology stack. And again, your data is stored in your Azure subscription so no vendor lock-in. The Archive2Azure solution from Archive360 is one of the first native Azure cloud-managed archiving and long-term data management solutions. 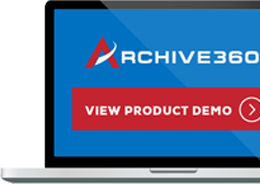 Archive2Azure provides a highly secure, low cost, and compliant intelligent archive, designed specifically for the archiving and management of data. Archive2Azure works with the customer’s Azure tenancy to store, index, search and manage large volumes of unstructured data. 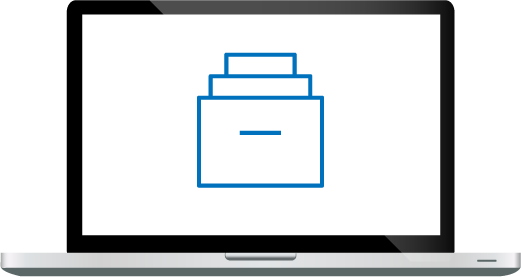 Archive2Azure creates containers that store and manage the data in its native format in “cabinets” located on specific Azure storage tiers - Hot, Cool, and Archive. The best thing about Archive2Azure is that you don’t need to hand over your data to a vendor and their proprietary cloud. Your sensitive data is held in your Azure tenancy, using your encryption keys, with the data stored in its native format, so you never have to pay a ransom to get it back. 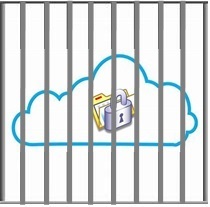 Stay out of data prison and choose the open cloud – Azure and Archive2Azure. Audio And Video Files Are A Pain - NOT! Is Cloud Storage Safe Enough For Legal Data?